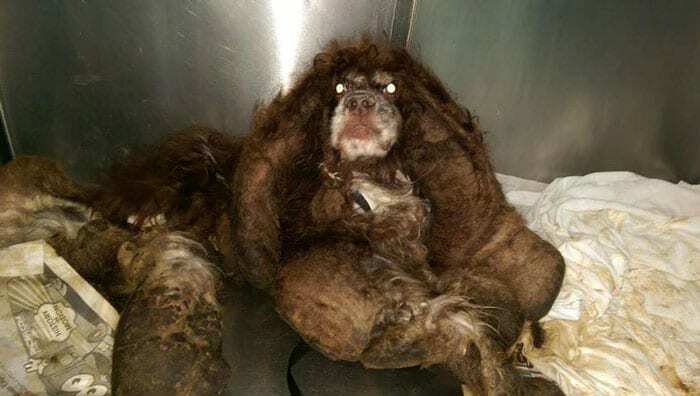 After a team of police officers in San Antonio located a poor Cocker Spaniel named Hamish, it left them completely shocked, as the poor dog had more than six pounds of matted fur on its body! Hamish was rescued in the middle of a busy road with heavy traffic as he struggled to get to safety. He was immediately brought straight to San Antonio Animal Care Services, where he would get fed and cleaned up. Veterinarians at San Antonio Animal Care Services then shaved off Hamish’s severely matted fur. 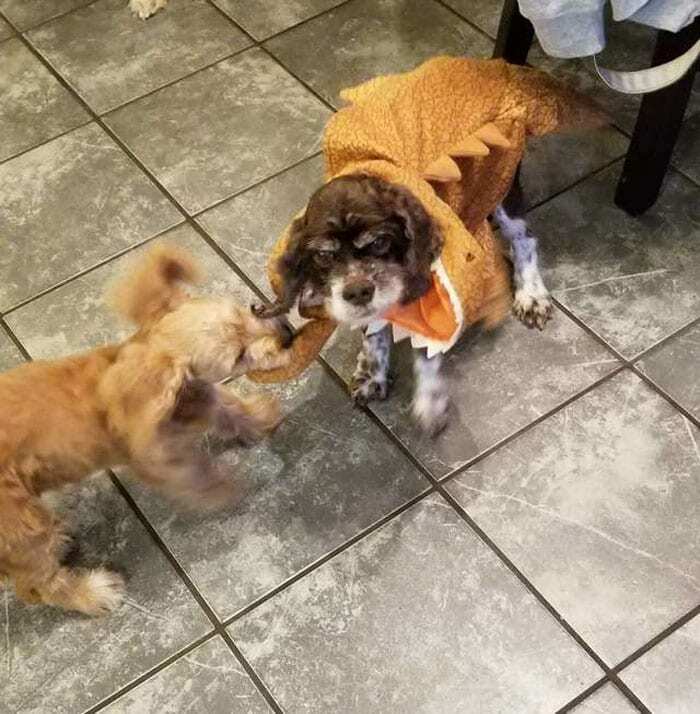 Once they had finished doing so, he was a whole new dog, and much lighter! 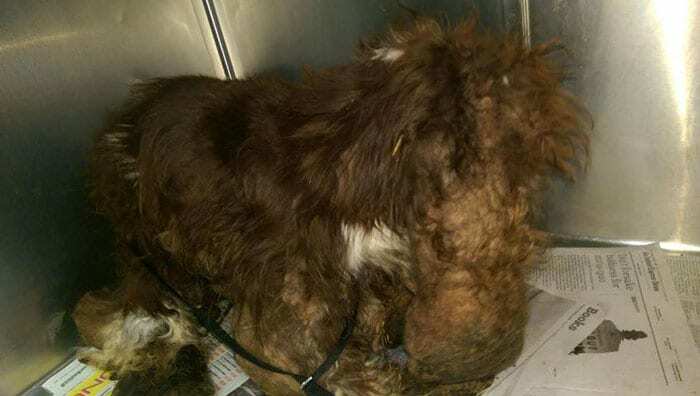 However, underneath all that matted fur coat, Hamish was found to be severely underweight. He weighed lesser than 12 pounds, and not a healthy 20 pounds. Most of his teeth were rotten, thus Hamish also needed dental surgery. Afterwards, Hamish had only 11 of his teeth remaining. 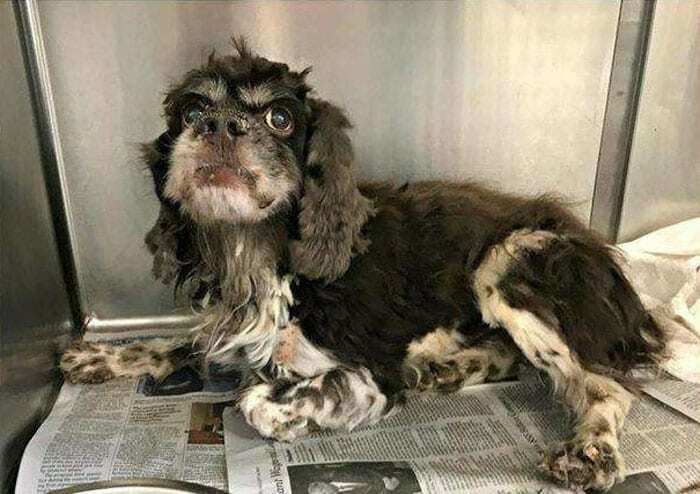 As Hamish recovers, San Antonio Animal Care Services posted his story on their Facebook page, and their post caught the attention of an organization named Cocker Spaniel Rescue. The rescue group volunteered to take Hamish in and continue caring for him – special diet needs and all. Hamish was administered a soft food diet and supplements to help him gain weight in a slow but healthy way. Although his previous owners had failed him, Hamish is making good progress and is already feeling much better. His fur is also growing back like the way it should been. Hamish would be staying with Cocker Spaniel Rescue until he fully recovers and has completed some basic training. 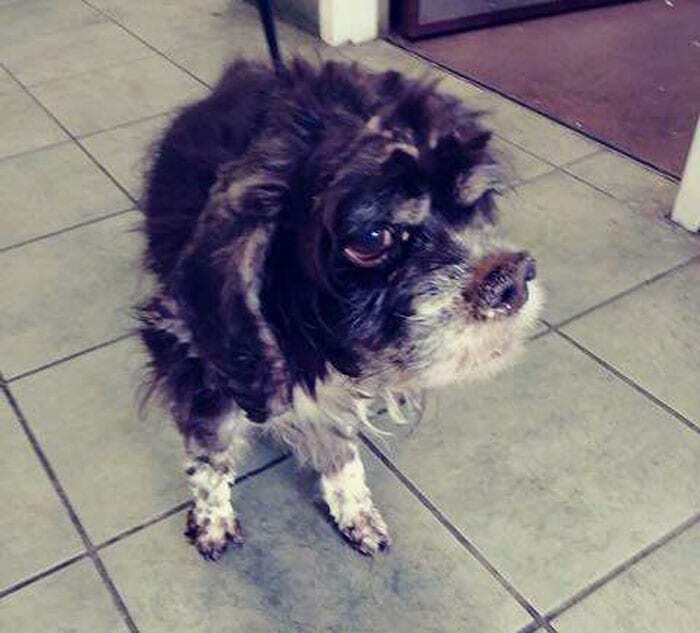 Afterwards, Cocker Spaniel Rescue would start putting him up for adoption – we hope that Hamish finds a loving home who deserves him! Watch her transformation happen in the video below!